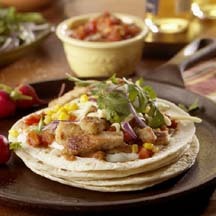 CooksRecipes has quality, kitchen-tested recipes for a large variety of tacos that you can count on for successful deliciousness. 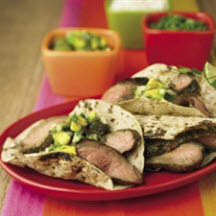 Steak strips get big south-of-the-border flavor from lime, garlic, cilantro, onions and tomatillo salsa. Recipe courtesy of Carolina Buia and Isabel Gonzalez, co-authors of "Latin Chic: Entertaining with Style and Sass". 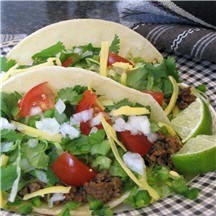 The secret for the tasty filling in these delicious tacos is that it's made with both ground beef and canned roast beef.